Companies in South Korea are stepping up efforts to promote consumption through the upcoming PyeongChang 2018 Winter Games, with the quadrennial event just two months away, industry sources said Wednesday. 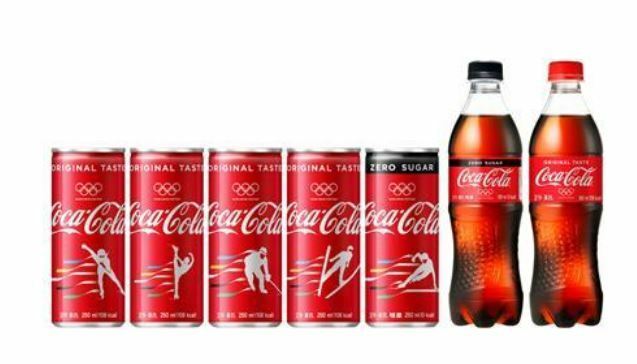 Corporate sponsors of the Winter Games, which can officially use the images or phrases related to the Olympics, are actively utilizing them to advertise their products, according to the sources. Long padded jackets released to mark the Olympics have recently been sold out at 149,000 won ($137) for its low cost, according to its seller Lotte Department Store. The retail giant said it will release "PyeongChang sneakers" made of cowhide at 50,000 won starting next month to continue the PyeongChang sales boom. The local unit of The North Face also released a series of limited edition Olympics products, and Coca-Cola Beverage Co., an official sponsor of the Olympics, launched products with drawings portraying the athletes. The U.S. fast food chain McDonald's is currently building two unique stores in Gangneung, some 230 kilometers east of Seoul, to mark the international sports event. The city is set to co-host the Olympics, along with the alpine county of PyeongChang, 180 kilometers east of Seoul.